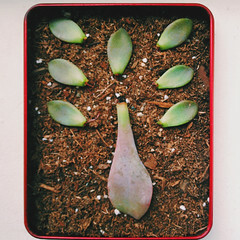 For those of you who follow me on Instagram, I'm sure you've gotten your fill of my propagating updates. I've been trying to keep my posts to a minimum so I don't inundate you, but I'm over here taking pictures every single day. 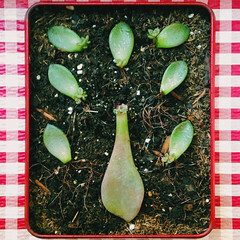 My succulents have totally become my children and they're growing up so fast, you guys! But more importantly, they're still alive. Some even appear to be...flourishing? Some. The only cause for concern has been the August cool down that seemingly came out of nowhere. As much as I want to crack our windows open for the nice cool air, I don't want to harm the little guys while they're still so delicate. 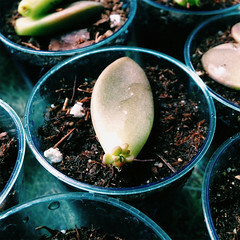 Makes me wish I'd known earlier in the year (/my life) about propagating succulents. 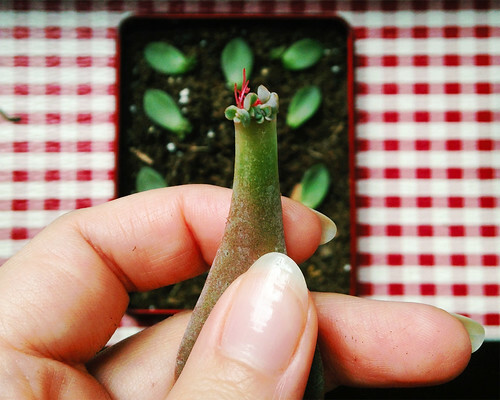 The very first leaf cutting to sprout has grown so much in just a month's time. It's so cool to see the transformation from the tiny bud in my last plant post. A few of the leaf cuttings are growing leggy new plants which makes me sad. They're so thirsty for sun but my west and southwest facing window sills are all I got. Maybe I'll get super serious and buy a lamp. I've added to my mini window garden bit by bit without getting too ahead of myself, of course. If I'm going to kill some plants, I'd prefer to keep the casualty numbers as low as possible. All of these babies are from big box stores so chances are they'd end up overwatered/murdered anyway. 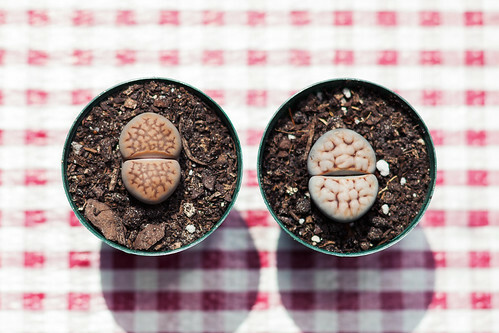 Well, with the exception of THESE LITHOPS! As much as I'd like to repot them, I'm hesitant so here they will remain until I find the courage. 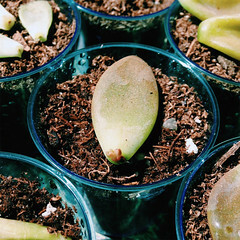 Maybe I shouldn't be so nervous since my Split Rock is doing surprisingly well after being repotted. 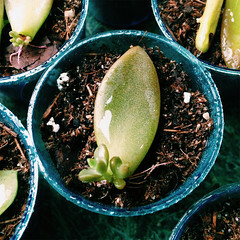 Check out how much it has grown since that fateful night at Home Depot! I feel a new split coming soon. Can you see it forming already? Ah! It's definitely got some brown spots which haven't gotten worse since last month, but I don't know if I should be worried. 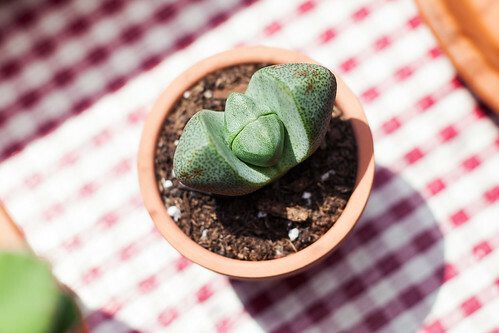 Any Pleiospilos nelii aficionados out there?? Clue me in! 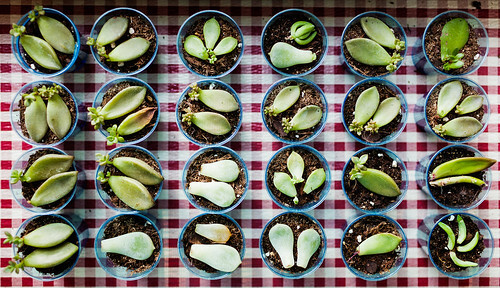 Everyone else go get yourself some succulents! Aw! I'm so happy for your babies :D I actually bought a money tree since your last post that I'm desperately trying not to murder. Awesome! Money trees are so adorable and I hear they're hard to kill, so you should be good! My adult succulents are all fairing well but I'm constantly nervous, I'm like a helicopter mom now. It's all so exciting/scary! These are so cool! I LOVE seeing your posts about them. 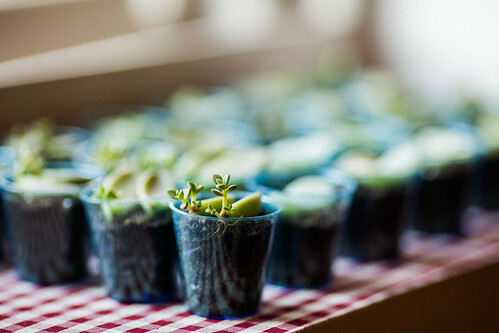 You're obviously VERY good at the green thumb stuff! 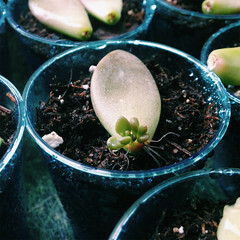 I'll definitely keep these posts coming, the succulents are way too cute to ignore! 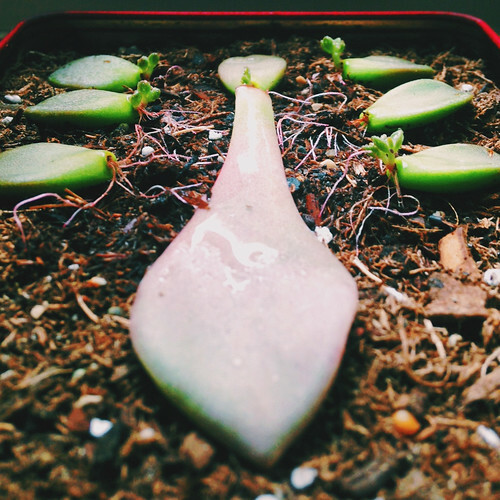 I repotted my succulent and it's drying out and freaking me out at the same time. It's all very stressful. So stressful! 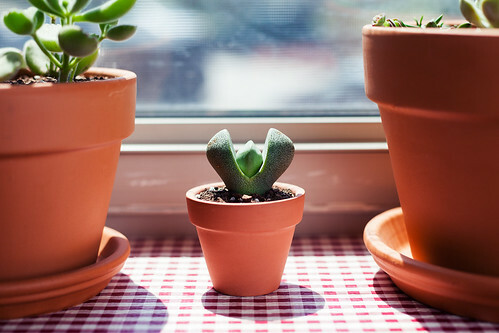 Hope your succulent is ok (I'm sure it is)! I've been googling and researching my little heart out and I still feel clueless. 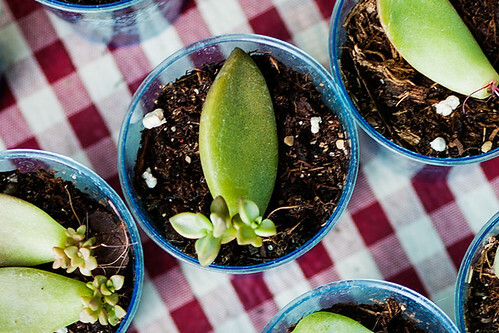 Succulents are so ~mysterious~ and tricky.